Who will become the thirteenth Time Lord? That’s the million-dollar question currently doing the rounds on the Internet, after current star Peter Capaldi confirmed plans to step down from the iconic role following Doctor Who season 10. Capaldi, who initially took over the title role from Matt Smith four years ago, will officially exit the long-running sci-fi series following the 2017 Christmas special – an annual tradition for Doctor Who. He’s not the only member of staff signing off either, as showrunner Steven Moffat (Sherlock) will be replaced at the helm by Chris Chibnall. Such a creative turnover has sparked speculation regarding who Chibnall and Co. will choose to be their new Time Lord, with Joe Gilgun, Russell Tovey, Rory Kinnear, Harry Treadaway emerging as early frontrunners in the betting. 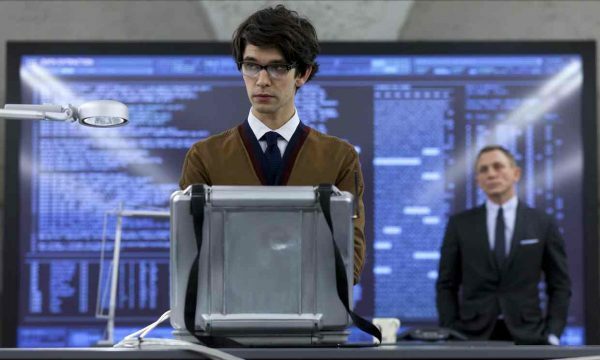 Ben Whishaw of Spectre and Paddington fame is also a hot-tipped favorite, followed by Richard Ayoade and Miranda Hart. Speaking of potential female Doctors, Peter Capaldi has his own replacement in mind: Frances de la Tour, the actress best known for playing the towering Madame Maxime in the Harry Potter series. Peter Capaldi is expected to stage his Doctor Who swan song before the year’s end, by which point we’ll surely know the identity of the thirteenth Time Lord. Of those potential candidates mentioned, who would you most like to see step foot in the TARDIS? Moreover, is it finally time to welcome a female Doctor to the fray? Sound off below with your thoughts!